Experience a journey through the intense desperation, confusion and emotions of lawmen and lawwomen as they are being shot and savagely and tenaciously fight for their lives. Warning! If you have a heart condition these stories are not for you. You will live these horrific life and death encounters millisecond-by-millisecond and bullet-by-bullet as experienced by those who survived them. “If you want to know what it is like to be in a gunfight, then this is a must read. It is a compelling, and true to life compilation of harrowing, not to be forgotten true events. Chilling!” -Deputy Willie Robinson, 31 years Los Angeles County Sheriff’s Department, 17 years Special Enforcement Bureau. “The stories will rip your heart out. Shockingly explosive and gritty! It does not get more real than this. 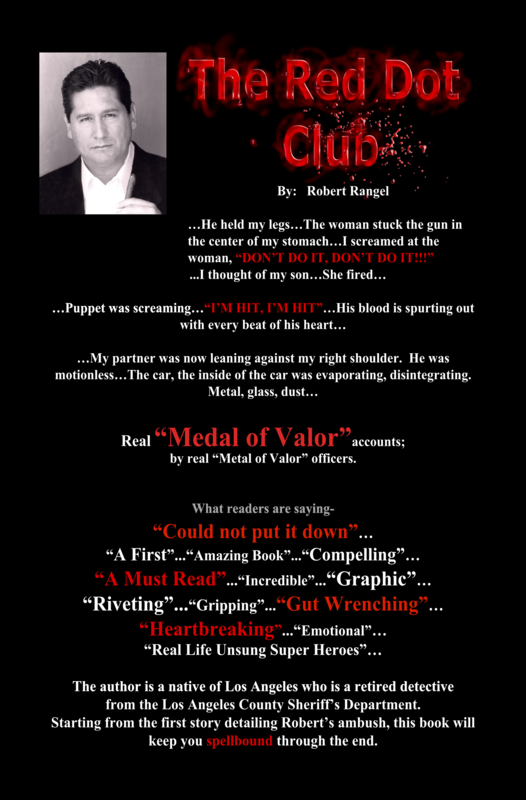 This is a tale of courageous heroes…men and women of morals, values and principles. Once you start reading you won’t be able to continue…and you won’t be able to stop.” - Lieutenant Gregory Saunders, 34 years Los Angeles County Sheriff’s Department, 14 years Special Enforcement Bureau.